I don’t know about my fellow spoonies (see my post on The Spoon Theory if you don’t know what a spoonie is), but I spend a lot of time online shopping to fill my time. I’ve always loved to shop and I’m not going to stop just because I can’t hit the shops. I love filling up my ZARA basket, making wishlists on ASOS and browsing Oliver Bonas for all things copper! Even though I don’t end up buying much due to my limited budget, I do spend pennies every now and then. The one thing that I often find myself lusting after is nice pyjamas. I live in PJS! And I like to buy nice ones as thats what I spend most of my days in. Having fancy pyjamas makes me feel like I’ve made an effort even though I haven’t even gotten dressed and makes me feel a bit better about myself. I say nice…most of mine are from Primark…but theres nothing wrong with a bit of Primani, and they have such a good selection?! Fashion bloggers are always making clothing wishlists so I thought why not make one spoonie style and show you the PJ’s I currently want to get my hands on. WE <3 PJS! I love the banana ones and the animal print! So cute, I need them all! PJs rule! Haha me too, I need more pennies though! I have the biggest collection of pjs!! You have great taste too. Ive had my eye on the Topshop animal ones! So cute! I know, i don’t know what I’d do without being able to shop online!! Id be a lot richer though lol! I love the one with all the animals on, and can see what you mean about the blue ones. They are just so fancy! I hope that you have a good day today, you deserve to! I WANT THOSE BANANA PJS!!! They’re amazing!!!! 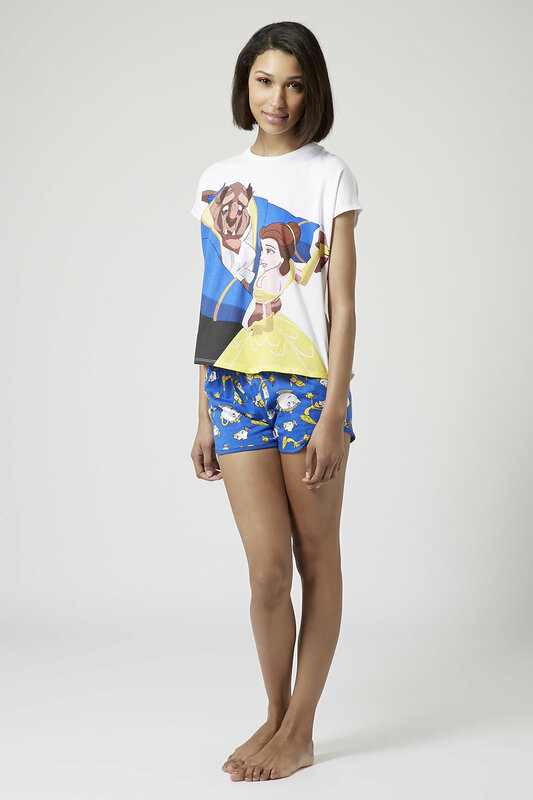 I kiiindaaaa like these: http://www.topshop.com/en/tsuk/product/clothing-427/nightwear-2313149/little-mermaid-pyjama-set-4170144?bi=21&ps=20 I saw them in the store a while back, but they’re out of stock now!